The smart home seems to be the space every major tech company wants to occupy, and it appears that Nvidia may be next in line. Evidence of a smart speaker-like device with holographic capabilities from Nvidia was spotted by an anonymous source for Wccftech. 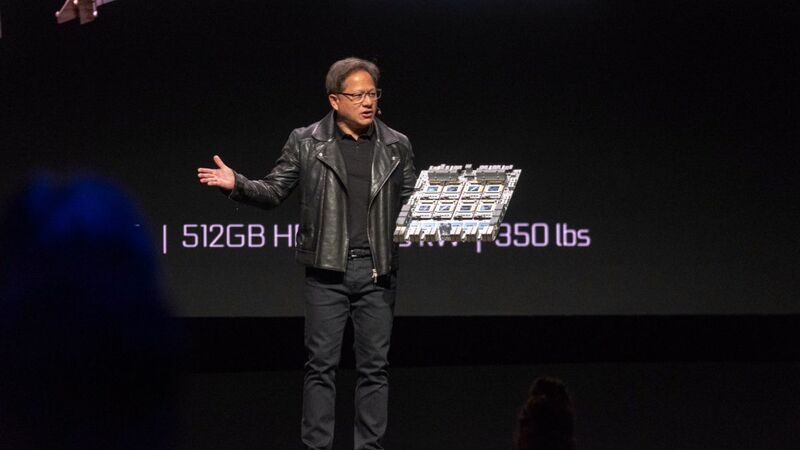 While Nvidia’s brand isn’t readily apparent on the slide, the aesthetic follows Nvidia’s art style, the and source noted the commuter was wearing an NV badge. While Nvidia hasn’t announced a standalone smart home device, it wouldn’t be a stretch for the company to give it a shot. With the Nvidia Shield TV, it already has an entrance into smart home, but leverages Google Assistant to control IoT devices. So, Nvidia already has a grasp on how to integrate its tech with smart home devices. And, since Nvidia already has so much background in AI with its hardware for data centers and self-driving vehicles, wrapping some of that AI into a smart home device like the Amazon Echo or Google Home could make sense. What’s unique about this Project R.O.N. is the mention of holograms. Many smart assistant devices leverage audio alone, though some more expensive devices use traditional displays, like the Amazon Echo Show. Unlikely as it is that Nvidia will come out with true hologram technology and a smart home device at the same time, the company could be going for a hologram-like visual display using projection. Wccftech suggests 3D projection mapping, and that may be possible with Nvidia’s experience scanning objects for self-driving vehicles. The design shown in the slide also suggests there should be some powerful tech inside Project R.O.N., and it appears to be a tower-like structure and not a small puck, like the Google Home Mini or Echo Dot. With the first code deadlines appearing to be May 3 for skills with holograms, and June 28 for skills using only AI, there could be even more details leaking – or even official information – in the coming months. We’ve contacted Nvidia for comment, and will update this story should we receive a response. What can we learn from 2018’s biggest data breaches? December 7, 2018 Comments Off on What can we learn from 2018’s biggest data breaches?